Peter Woods, Anglican priest and regular visitor to West Papua, said he was appalled by the militarism and the grinding poverty that he found in Manokwari last week, eighteen months after his last visit. 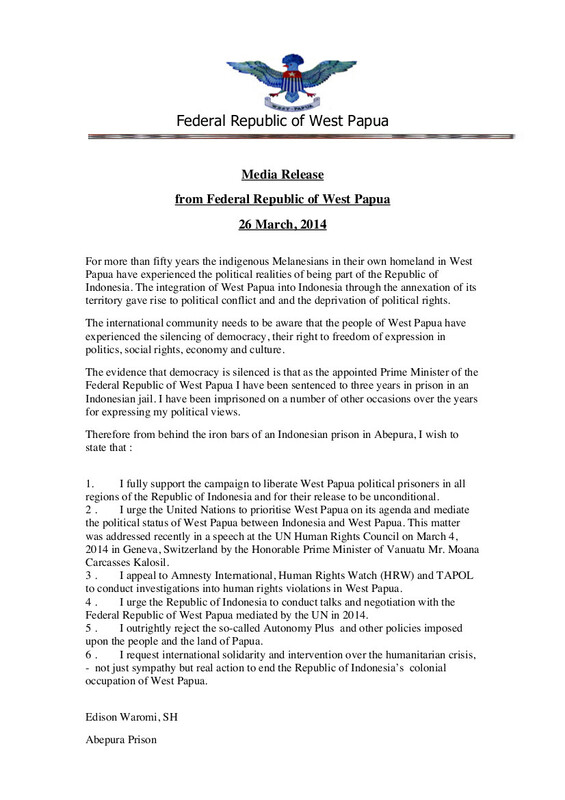 Councilor Amanda Stone from the Yarra City Council is cutting the ribbon on the Federal Republic of West Papua’s new office in Docklands (Melbourne) on Monday 23 June 2014. This is despite the Lombok Treaty, signed by Australia and Indonesia in 2006, which outlaws any demonstration of the Indonesian colony’s independence.